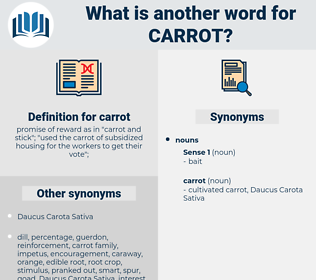 What is another word for carrot? block, hindrance, dislike, prevention, deterrent, discouragement. fact, truth, reality, warning, certainty. disregard, neglect, lowness, paucity, disadvantage. He extended one of his four rib appendages and picked up a piece of carrot. She must have it in time to cover the carrot cake for supper. 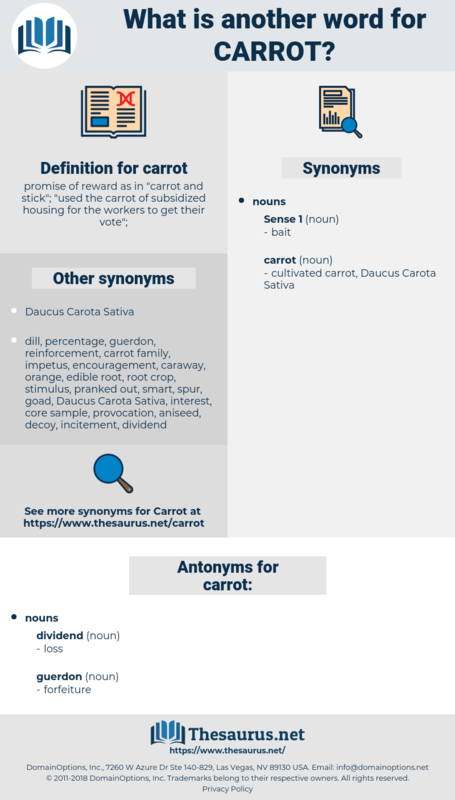 cultivated carrot, Daucus Carota Sativa, carrot.